It's the most fun you can have in the mountains! and we have something new for you! EVENTS ON OFFER: 160km UTD160 | 100km UTD100 | 62km Giants Cup Uncut | 30km Sundowner Run | Drakensberg Rockjumper, a two day trail run. The 2018 Ultra-Trail® Drakensberg Festival of Trail Running will once again provide runners of all abilities the perfect opportunity to enjoy everything that the internationally renowned Maloti Drakensberg World Heritage Site has to offer. Incorporating and skirting some of the legendary features of the Southern Drakensberg such as Sani Pass, Thabana Ntlenyana, Twelve Apostles, Khanti Ridge, Gxalingenwa Gorge, Hodgson’s Peaks, Garden Castle, Rhino Peak and Langalibalele’s Pass participants in Ultra-Trail® Drakensberg will experience mountain running at its very finest. Ultra-Trail® Drakensberg is a festival of trail running with events of 160km, 100km, 62km, 30km and the Drakensberg Rockjumper a two day trail run. The 160km starts in the Mountain Kingdom of Lesotho where it traverses 70km of high altitude terrain before joining into the 100km course at the top of Sani Pass and following the next 90km to Bushman’s Nek. The 160km, 100km, 62km, 30km events are entirely on mountain trails (excepting the short Sani Pass Road sections of the 160km and 100km events) to ensure a pure trail running experience which is further emphasised by an altitude bandwidth of 1600m-2865m. Runners will enjoy the company of some of the flagship fauna of the area including the mighty Eland and the critically endangered Bearded Vulture while the presence of the ancient San people will surround them in the shape of their world famous Rock Art. UTD160 is currently not ITRA registered or a qualifier for UTMB®. UTD100, GCU62 and SDR30 are ITRA registered events and official qualifiers for UTMB®. The Drakensberg Rockjumper (DRJ) is a two day trail run. It is an ideal event for those just getting into trail running or runners keen on the shorter distances. Walkers are also very welcome. There is a choice of two distances: DRJ 21/15 – 21km on day 1 and 15km on day 2 or the DRJ 15/12 – 15km on day 1 and 12km on day 2. 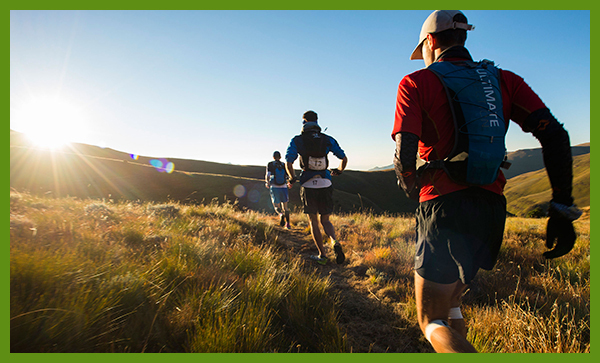 Falling under the Ultra-Trail® Drakensberg Festival umbrella it slots in seamlessly with the other events on offer and benefits from the pristine and magnificent trails that Ultra-Trail® Drakensberg provides.